1 1/4 x 1/2 x 50 1/2 in. 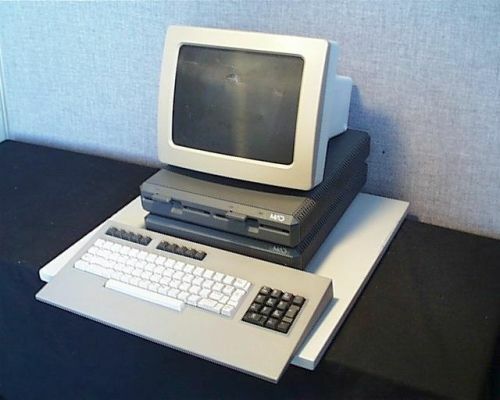 This item comprises 8 (eight) pieces: A: CPU B: Dual Floppy Disk Drive Unit C: Keyboard D: Monitor E: Floppy Drive cable [9 pin, circular, proprietary] F: Video cable [DB-9 to DB-9] G: Floppy Drive cable [DB- 37 to DB-37] H: CPU to Dual Floppy Disk Drive interconnect [1/8" female- female cable]. This is a 9 pin male-male cable.